520. 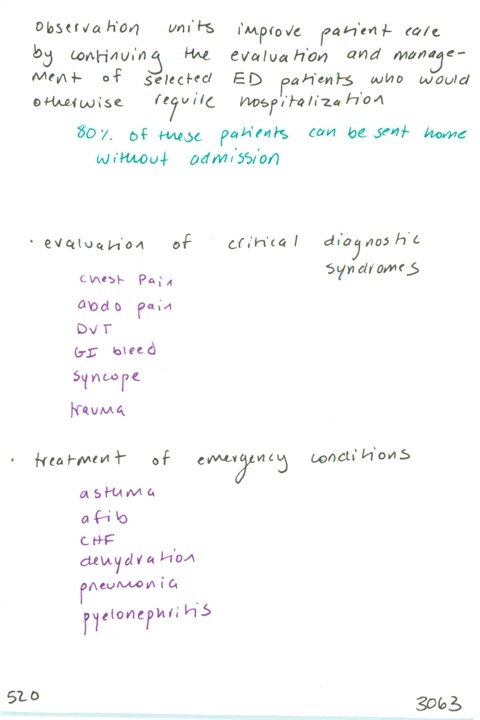 What is the purpose of observation units or clinical decision units? / What kinds of conditions are appropriate for observation?